This is a list of web sites that are running on Perl where the source-code is available as Open Source. If you are looking for a project to contribute to, or just to learn from, these are all excellent choices. I've tried to group them according to the level of activity of the project and where I could, I also mentioned the framework used for the project. There is another, related list of the Perl based open source products. 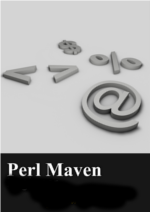 Perl Maven, the web-site you are looking at now is based on Dancer 2 and its source code is available on GitHub. MetaCPAN, the Open Source search engine of CPAN. It has several sub-projects hosted in the CPAN-API GitHub organization. metacpan-web is the front-end written using Catalyst, and cpan-api is the back-end. Perl 6 Maven runs on Baildor, a partially implemented Perl Dancer clone in Perl 6. Its source code is available on GitHub. (R)?ex, the Deployment & Configuration Management (aka DevOps) tool written in Perl. Rex itself is Open Source, but the source of its web site is also available in the rexify-website GitHub project. It runs on Mojolicious. IFcomp, The Interactive Fiction Competition. Its web site is based on Catalyst. Its source code is in the ifcomp repository. MusicBrainz is an open music encyclopedia that collects music metadata and makes it available to the public. Its source code is available from GitHub. For more details about the development look here. Mojolicious, the web framework. The source code of its own web site is in the mojolicio.us repository. There is a list of web sites powered by Mojolicious. The search.cpan.org clone project, which is not finished yet. Its source code is in the MetaCPAN-SCO repository. It is written in PSGI/Plack. Tracert.com providing routing information from around the world. Its source code is in the tracert.com repository. It is written in PSGI/Plack. Dreamwidth is a community blogging service. The code originally forked from the LiveJournal code-base, but it was kept Open Source. The source code is available in GitHub. Mailnesia is an anonymous e-mail service. It's source code is in this repository. Dancer, the web framework. The source code of its own web site is in the perldancer-website repository. The Dancefloor might list more Dancer based open source sites. konzertgeek.de is a location-aware search for music concerts in German, runs soonish. Perl Dancer Advent Calendar is itslef based on Dancer. Its source code is in the advent-calendar repository. The Anarchist Library runs on amuse-wiki which itslef is written in Dancer. The source code of amuse-wiki is in this repository. Most Perl conferences (YAPCs, Workshops etc) run on Act - A Conference Toolkit. Its source code is in the Act repository. DuckDuckGo community platform is based on Catalyst. Its source code is available here. www.perl.org and some of the related sites use the Combust framework. Their source code is in this repository. PAUSE The Perl Authors Upload Server, the thing that feeds CPAN, has its source code on GitHub. Let's Upload That Image is a simple image hoster written in Mojolicious. Its source code is in GitHub. My Perl Résumé is based on Dancer. Its source code is in the perlresume.org repository. Look2remove.me allows you to upload a picture to be seen only once. Its source code is available in this repository and it is based on Turnaround a Perl TIMTOWTDI web framework. Pastedance a pastebin written in Dancer. Source code in the Pastedance repository. Dancebin, another pastebin service written in Dancer. Source code in the Dancebin repository. PSGI/Plack is the common building block of every modern web application written in Perl. Its web site is a single static page, but if you insist, its source code is in the plackperl.org repository. blogs.perl.org, the shared blog site of the Perl community runs on the Professional Edition of Movable Type which is not open source. 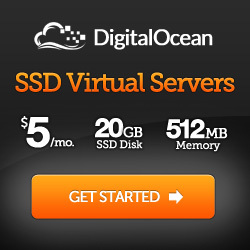 Nevertheless the templates of the site are available here. There is also a version of Movable Type on GitHub, but it is unclear to me what is the license of that, and what is the relation of that to the one used on blogs.perl.org. Perlybook is based on Mojolicious. Its source code is in the cpan2ebook repository. CPAN.io is a static web site generated (hourly) by running wallflower on a Web::Simple application. It computes several leaderboards for some CPAN-based competitions, and also renders a Markdown-based blog. Source code is on GitHub. These are sites where the framework is in Perl and it is Open Source, but where the site-specific code is not. Most likely you won't be able to contribute to these sites. The GameCrafter runs on Wing. Krang. Krang itslef is Open Source, but probably you won't be able to look at the source code of those web sites. Everything2, source code in this repository. PerlMonks is based on a version of Everything. According to this node a different version of Everything (Everything2) is now open source, but there are some PerlMonks specific things that are not open source. Thanks to the people Reddit who suggested quite a few of the sites.